AllianceTek has reputation for end-to-end SharePoint solutions that provide fluid and efficient communication, collaboration, and content management. On-site technicians within the system could report back and remain updated with current information by accessing the system. Created project-wise task assignment feature for simplifying task management and scheduling feature to allow multiple checklists. Imported external data and established BCS connection between SQL and SharePoint external to import data. 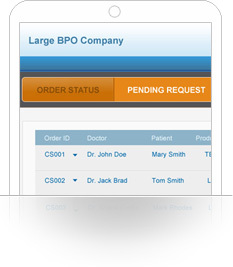 Developed a mobile app that integrates with SharePoint. 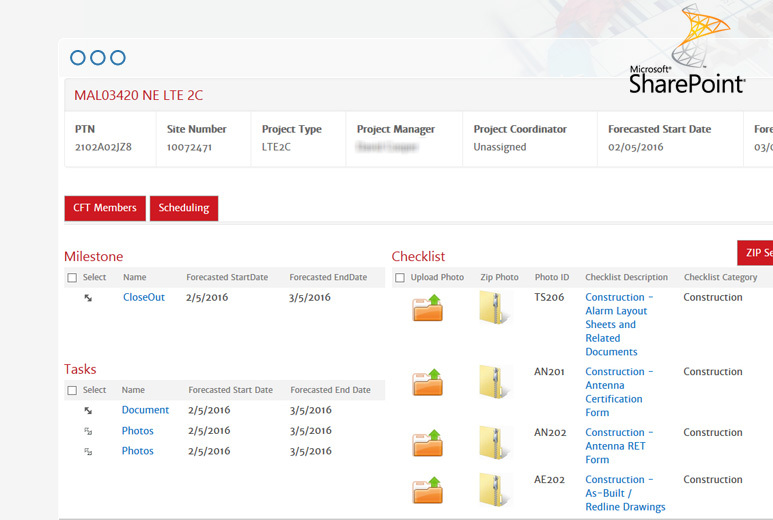 App is used by on-site technicians to take pictures of problem site, update task checklists, and work status. 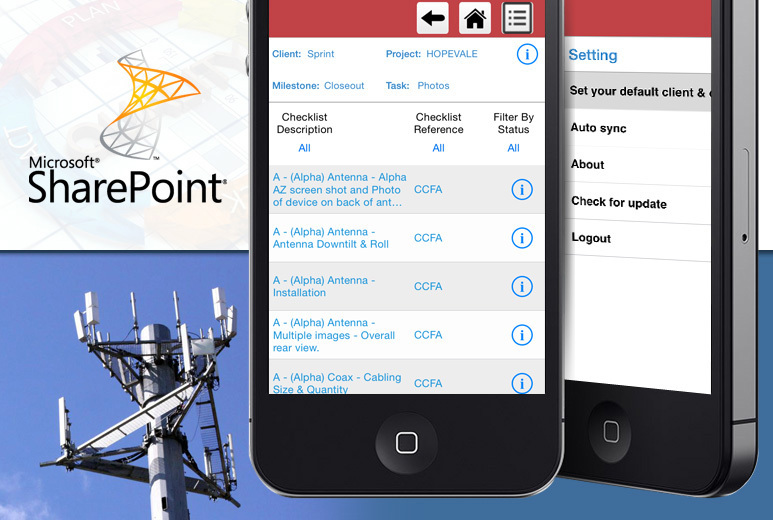 AllianceTek designed a mobile application that integrated with a SharePoint based Project Management System. The application facilitated the on-field technicians to securely login to the system. The field force could take pictures of the problem site and upload them to the system. The application also allowed the field force to update their task status directly from their mobile device. Important information is made available to the field technicians at any time on their mobile device. 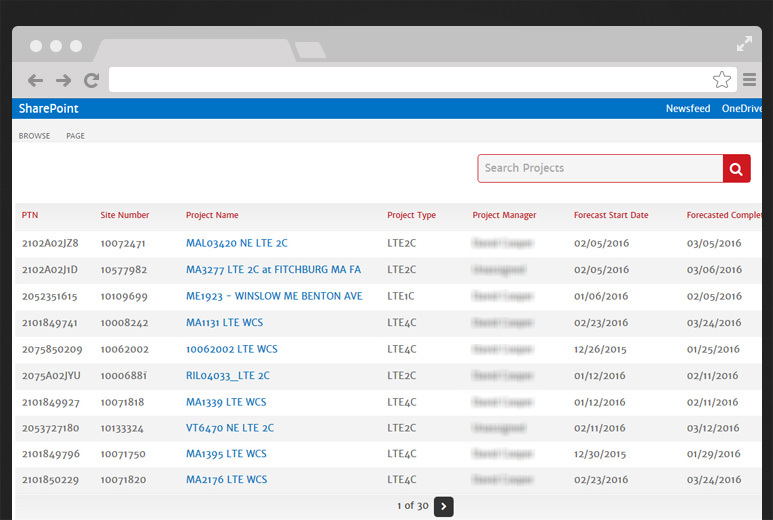 The client could resolve work management issues with this mobile integration solution to enable seamless communication with the team. With this application, technicians found it easy to report the images of the problem site even when they are on field. The application also facilitated technicians to make on-the-spot updates to the project management system. Enabled effective segregation of information as desired with custom reporting and search filtering facilities. Simplified project management and task assignment with scheduling and task features. Project Management System decreased gaps and delays in work. Re-usable elements were integrated in the solution that decreased costs with faster development.